The images in this slideshow are available as prints or stock images. I can print to A2 size. Larger sizes can be produced through Auckland printers on request. I print on archival standard Hahnemuehle Matt Fine Art Paper 308 gsm using Epson archival K3 inks. A2 - 594mm x 420mm - print size includes white border. Pricing includes GST. Freight calculated separately. 30 day satisfaction guarantee. If you're not happy on receipt of an artwork, return it in orginal condition for a full refund. We recently spent a week in Port Pegasus at the bottom of Stewart Island onboard Andy and Brenda Bell's beautiful Monowai III. An hour earlier we'd had sunshine. We made a snowboy on the foredeck once the front had passed. Had the privilege to stay overnight on Motu Kōkako (Piercy Island) photographing a lizard and seabird survey carried out by Ngati Kuta and Patukeha hapu in April 2015. 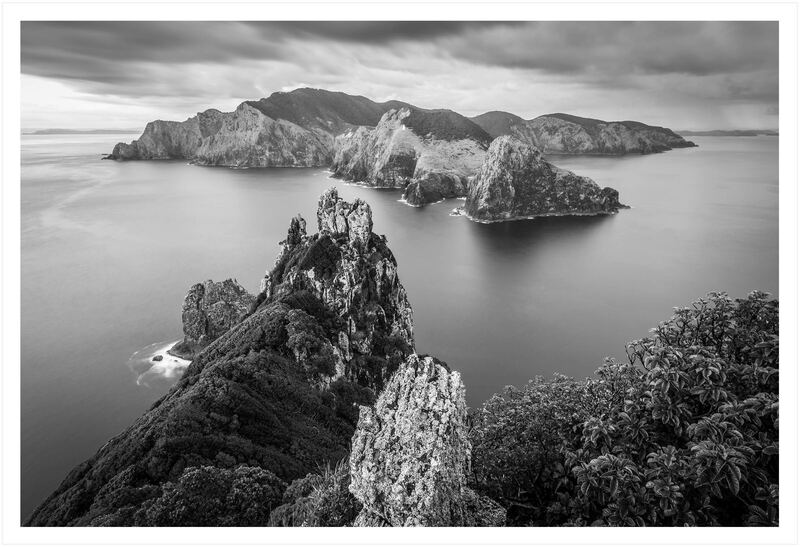 This image is taken as the early light illuminates Motu Kōkako, Te Tiheru (The Dog) and Rakaumangamanga (Cape Brett Peninsular). Under the bush canopy in the foreground there is an extensive network of seabird burrows. Using an endoscope the team checked each burrow finding a Black Winged Petrel chick. A stunningly beautiful place, thanks to Blandy, Rana, Isobel and the team for the chance to come along. 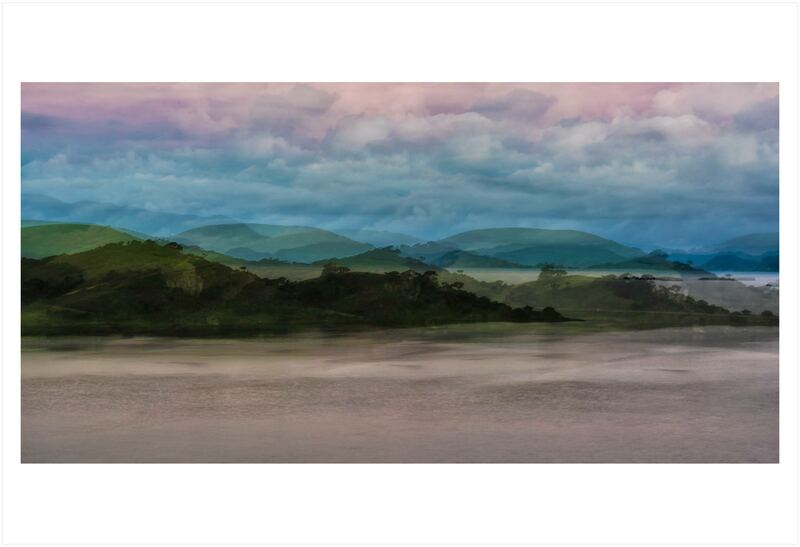 A percentage of proceeds of the sale of this print go to the Motu Kōkako Ahu Whenua Trust who administer the Island. 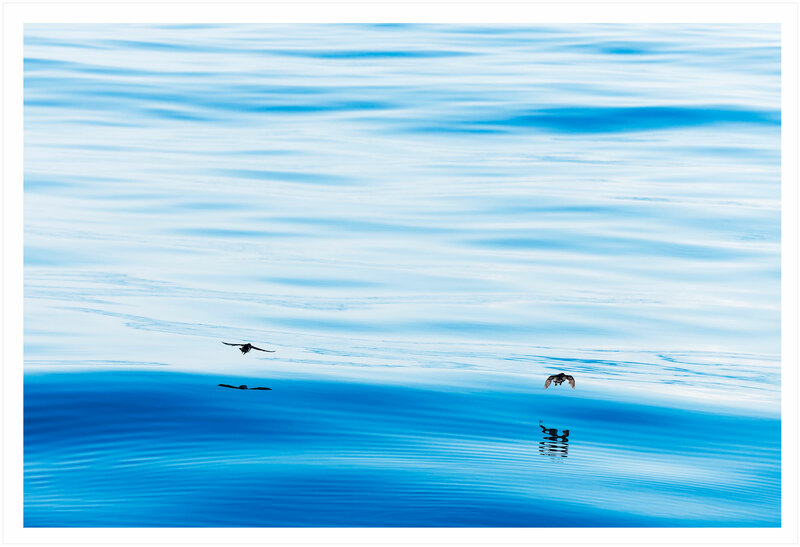 A cocktail mix of Fairy Prions (lighter coloured heads) and Fluttering Shearwater working schools of Trevally and Kahawai feeding on krill just south of the Mokohinau Islands. 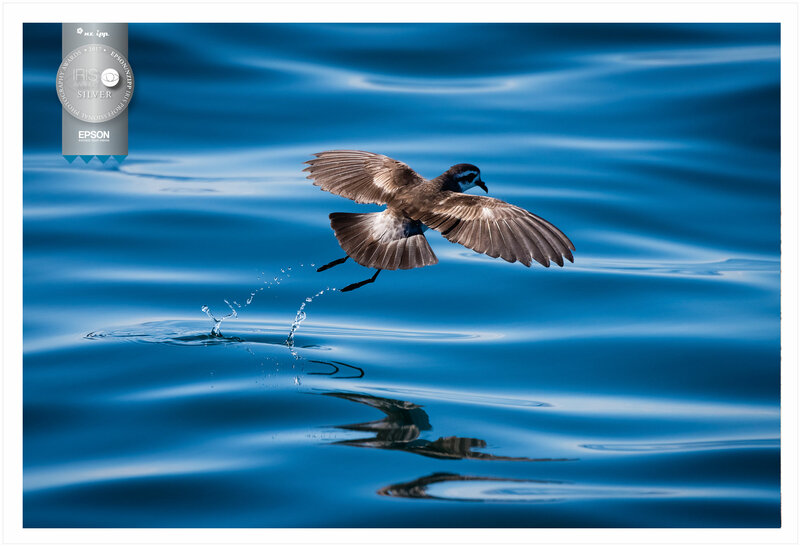 DoC bird expert, Graeme Taylor says as well as the two main species there’s one Bullers Shearwater in the shot; it’s sitting on the water with white on its throat and a long tail. This shot was taken with a long telephoto and was just a section of a very large flock, probably thousands of birds there. A wonderful sight. According to NZ birds online, Fairy Prions (Titi Wainui) in the north, breed on the Poor Knights, there’s an estimated 4 million pairs in New Zealand, they live as long as 22 years. Fluttering Shearwater (Pakaha) breed on many offshore islands throughout northern New Zealand. Buller Shearwater’s sole breeding ground is on the Poor Knights. I've got three dinghies. This one's called Bobby. 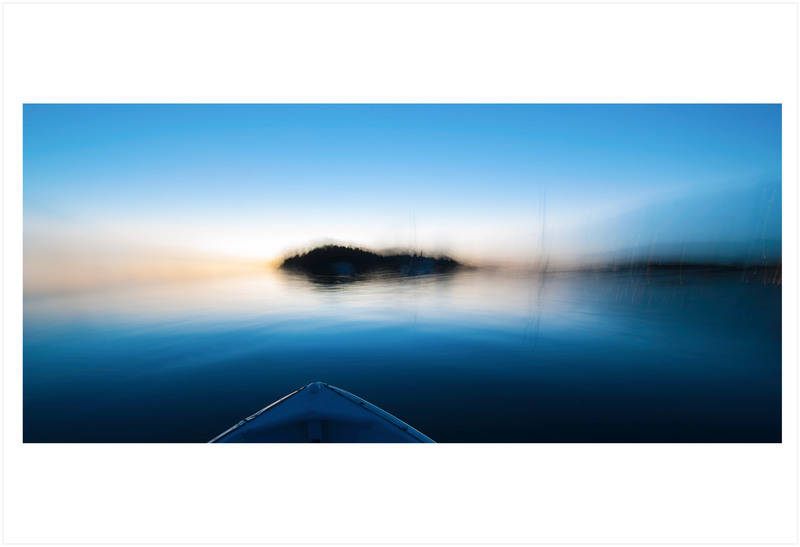 Taken 15 minutes after sunset in the middle of the Kerikeri River, camera straddling the middle thwart, Deb and I down the back rowing in circles for the duration of the long exposure. All the land disapears and the river goes to glass. 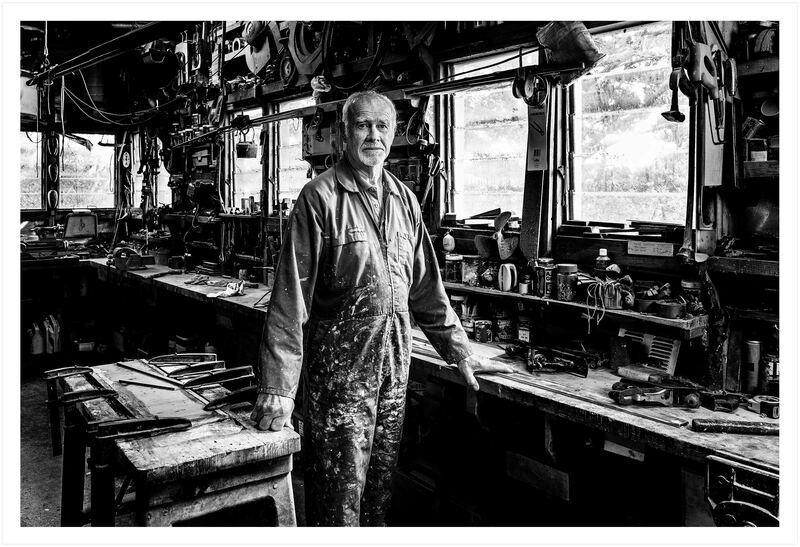 This image won a silver distinction award at the 2017 NZIPP IRIS awards. 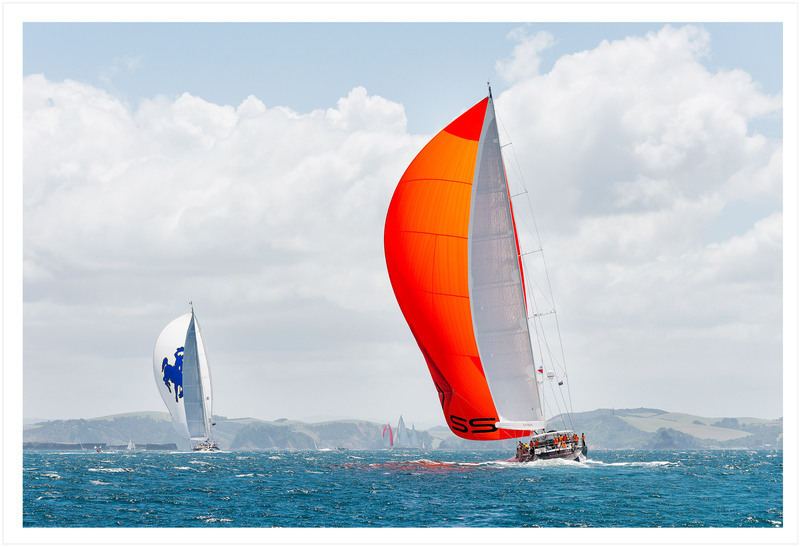 Classic ketch Spray behind a good Tapeka Point swell during the Bay of Islands Tall Ships Race. Deb and I visited Kaikoura and jumped on a boat to sit with the Albaross for a couple of hours. Magic, I could watch them all day. 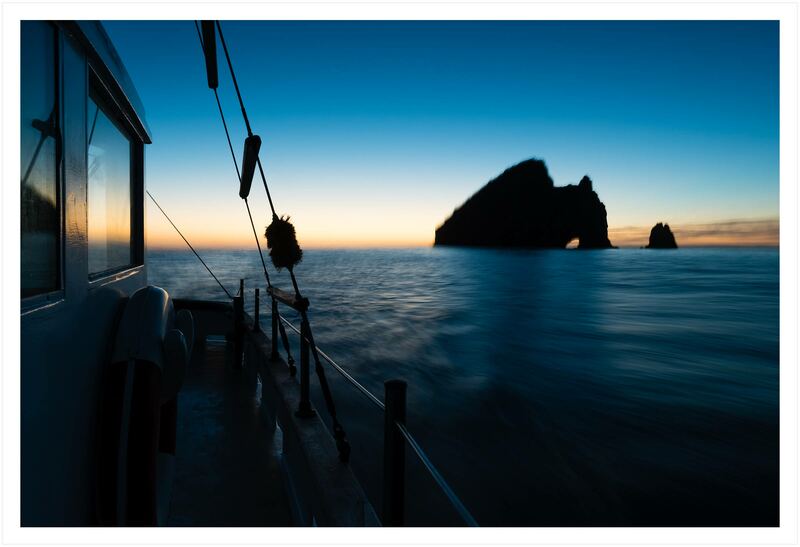 A long exposure onboard Arethusa, off the Purerua Peninsular using a 10 stop filter. The filter turns a 1/250th of a second exposure into 4 second exposure. 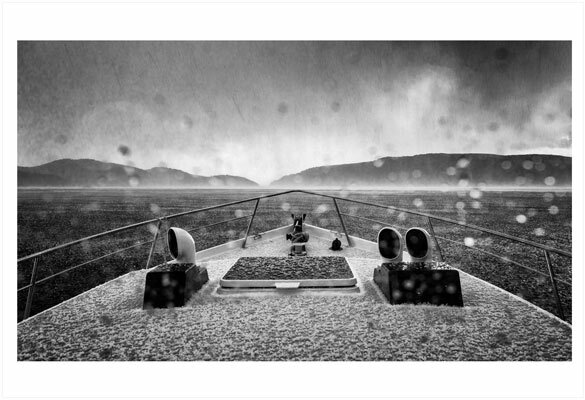 The hills movement created by driving the boat in a circle with the camera firmly planted on the tripod. This image won a silver distinction award at the 2017 NZIPP IRIS awards. 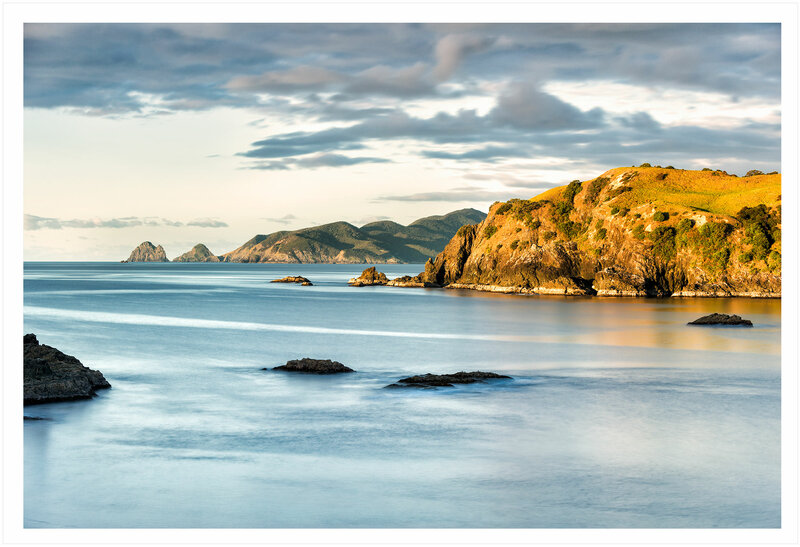 Dawn twilight behind Motu Kōkako (Piercy Island), Bay of Islands. We were up at 4am from Deep Water Cove to chug out to the Cape to meet the dawn, magic time to be on the water. Looking north west up the Te Puna Inlet at sunset from Tahera Point, Ake Ake Reserve, at the mouth of the Kerikeri River. Using a 400mm lens to compress the perspective. We came across half a dozen of these fabulous little guys feeding in a tide line a mile off Tikitiki (Ninepin) in the Bay of Islands. 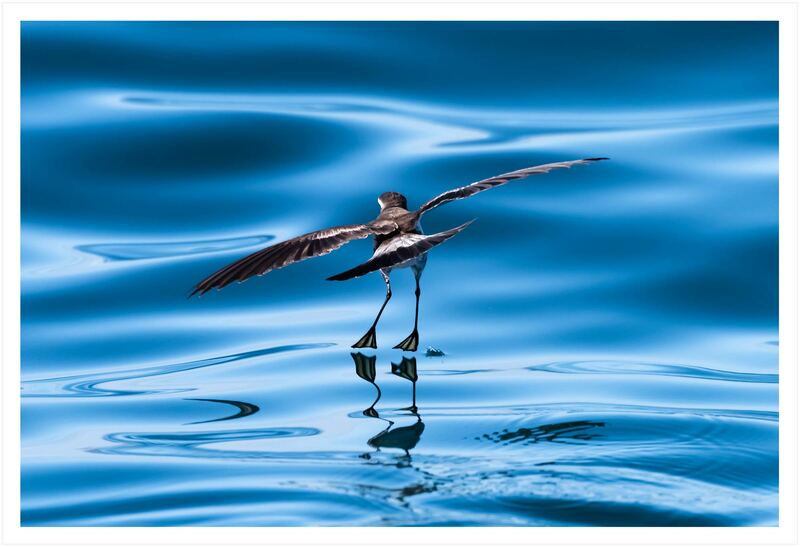 Can see why fishermen call them Jesus Christ birds, but rather than walk on water, they bounce or flit off it. Those XOS webbed feet give them just enough hang time to dip their bill to feed. Magic. Ken's bow. 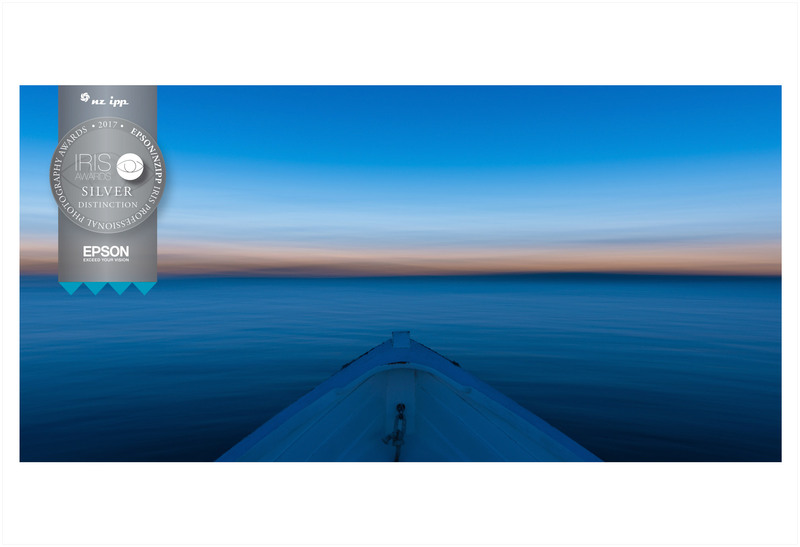 The light in this image is generated from Arethusa's cabin and mast head lights 20 metres in front of the dinghy. Camera on a tripod straddling the middle thwart, I'm down the back rowing Ken from side to side for the duration of the long exposure. Apart from the residential homes visible on Tapeka Point, this could be a scene from the 1800’s. 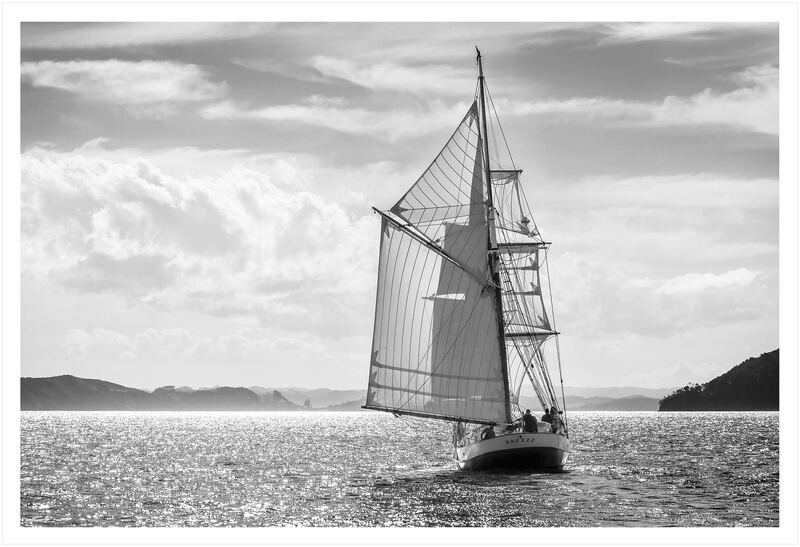 Breeze is a square-rigged brigantine; a traditional wooden sailing ship similar to vessels used for New Zealand coastal and inter-dominion trades in the 19th and early 20th centuries. Here she makes her way downwind past Motuarohia (Roberton Island) headed for Tapeka Point. Breeze was launched in 1981, designed and built by Ralph Sewell. According to the Auckland Maritime Museum who now maintain and run Breeze for charter: “Breeze was built in the traditions of 19th-century shipwrighting techniques, materials and construction. In time-honoured fashion, she is built of one diagonal and one fore and aft skin of kauri on sawn kauri stringers. The deck is two skins, one of kauri, one of totara. She is copper fastened and stiffened with carefully selected pohutukawa knees and sawn kauri floors”. Translated, that means an incredible amount of craftsmanship, dedication, expert knowledge and sheer hard work went in to produce a living piece of art that, properly cared for, will still be sailing when we’re all long gone. These guys have a tough time perpetuating the species. This is the sole surviving chick from 16 eggs laid on a beach on Moturua Island in the Bay of Islands. Cute little critter. Some eggs got swept away by high tides. Some hatched and the chicks were taken out by black-backed gulls. Moturua is pest-free so thankfully they didn't have to cope with rat or stoat predation. 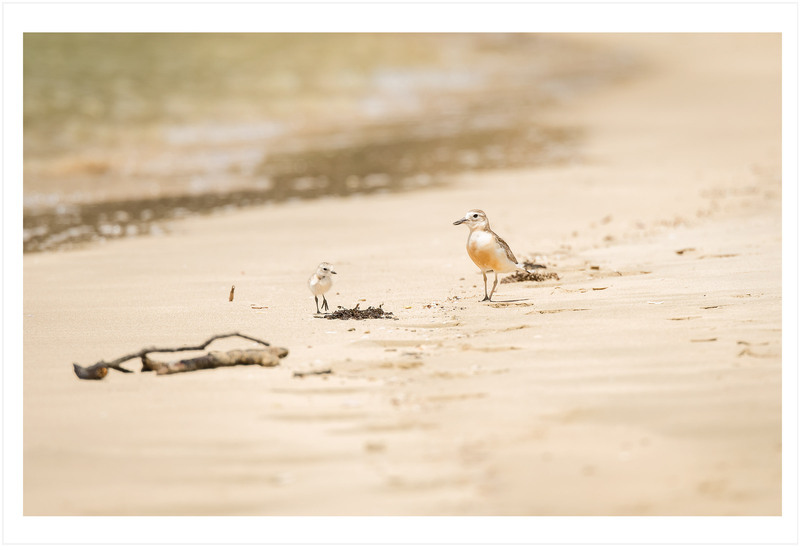 NZ Dotterel number a mere 2,000. I love the blue light period. It starts in the western sky about 20 minutes after the sun goes down and you get 20 minutes or so of bright blue before it fades to darkness. The vibrancy of the colours keep me coming back again and again. Magical time to be on the water. My dinghy‘s named Ken. That’s his bow in the foreground. We’re out for a row right on blue light time. The camera‘s on a tripod straddling the centre thwart and I’m down aft rocking him from side to side. What appears to be an island is Doves Bay Point, as we head towards the marina from Opito Bay. You can see a couple of masts of moored boats and the lights from the marina reflected in the water and sky on the right. I took 20 odd long exposures before the light finished, rowing in circles, fast, slow, stopped and various magnitudes of rocking. This was the one I liked the most. Wonder if anyone was watching, crazy man in a dinghy. Taken from Moturoa Island at sun up on a beautifully clear May morning. Tikitiki (Ninepin) and the Mataka Penisular in the background. The previous afternoon I’d gone ashore on the island in the foreground to take some shots. Pulling the dinghy up on the rocks I lifted my bag and tripod out and turned around, only to be confronted by a large grumpy male fur seal a couple of dinghy lengths away and advancing rapidly. A le-mans start saw me back in the dinghy and rowing away. He was a big bugger and in the goldy late afternoon light, beautifully camouflaged. Just didn’t see him until I’d completely invaded his space. He slipped back in the water and swam away. Sorry mate. 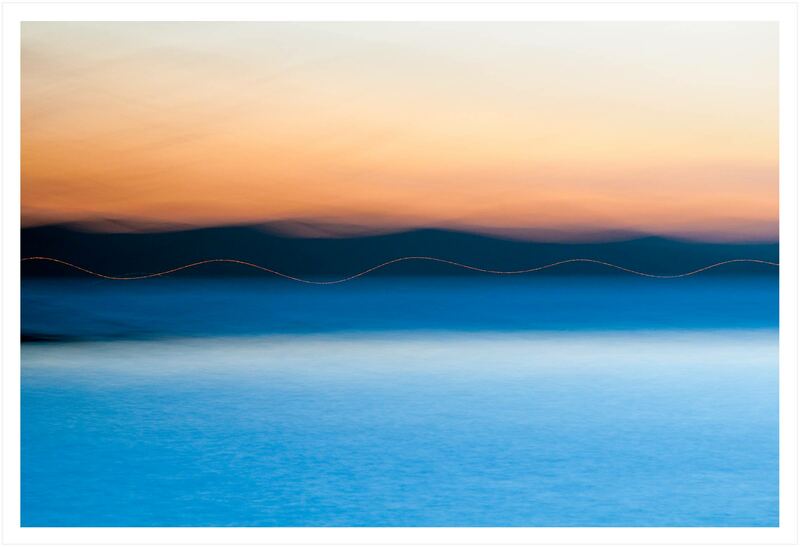 Long exposures on the water; sometimes it’s surprising what you catch. This is taken about an hour before sunset, a half mile or so north of Tikitiki (Nine Pin) one late January afternoon. There’s a reasonable breeze blowing out of the north-west, kicking up a lumpy chop. I’m using a 10 stop neutral density filter, it blocks the light by a factor of 10 turning a 1/30th exposure into 30 seconds. In that time I’ve got the camera on a tripod and Arethusa doing a tight 360º turn. 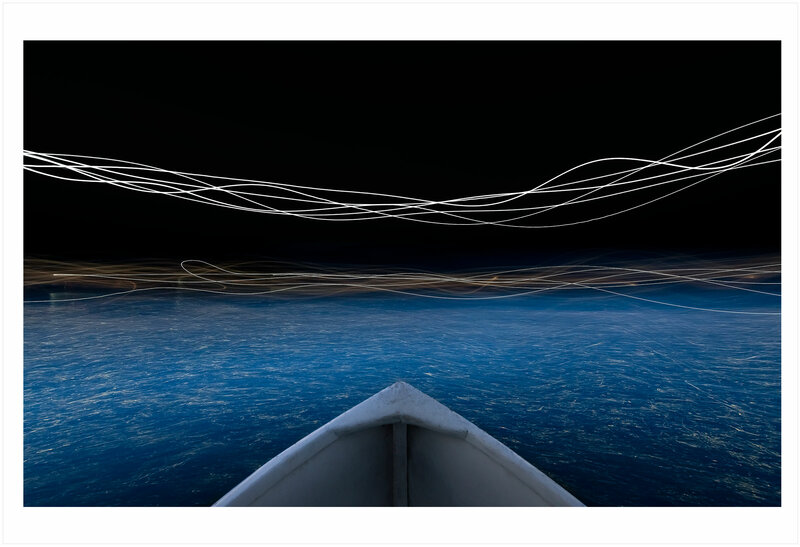 The lightwave is the sun’s passage low in the sky through the frame mirroring the sea state. Salt spray’s flying around necessitating a filter rinse and dry between shots. A couple of frames after this one, one of the tripod legs sagged sending the whole rig crashing to the deck. The 10 stop filter bit the dust splintering into tiny pieces. Thankfully camera and lens emerged unscathed. Good fun while it lasted. Returning home from Great Barrier we came across this pair of North Island Little Shearwater five miles south of the Poor Knights on an oily calm November morning. 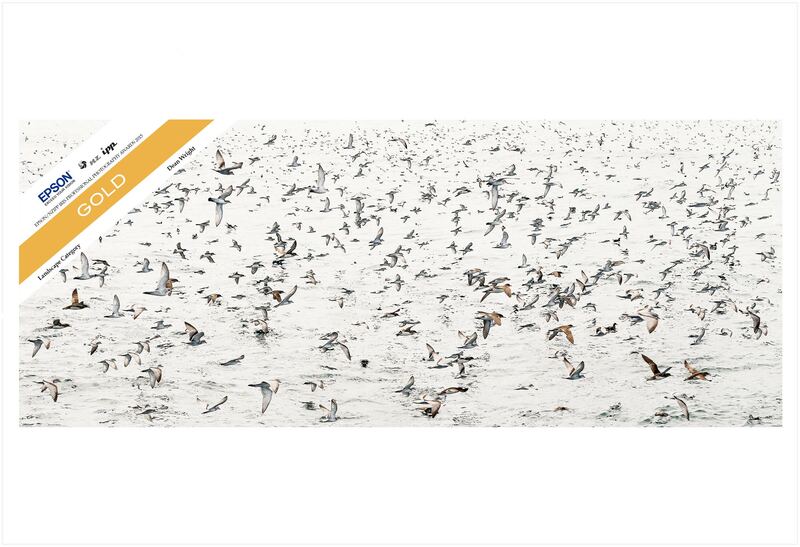 According to NZ birds online, North Island Little Shearwater are (not unsurprisingly) the smallest of the shearwaters and their population numbers just 10,000 pairs. They’re winter breeders with eggs laid in a burrow between July and August. Their young leave the nest between November and December. I watched a shearwater bullyboy in action once. We’d come across a school of baitfish driven to the surface and the birds were feeding madly on them. 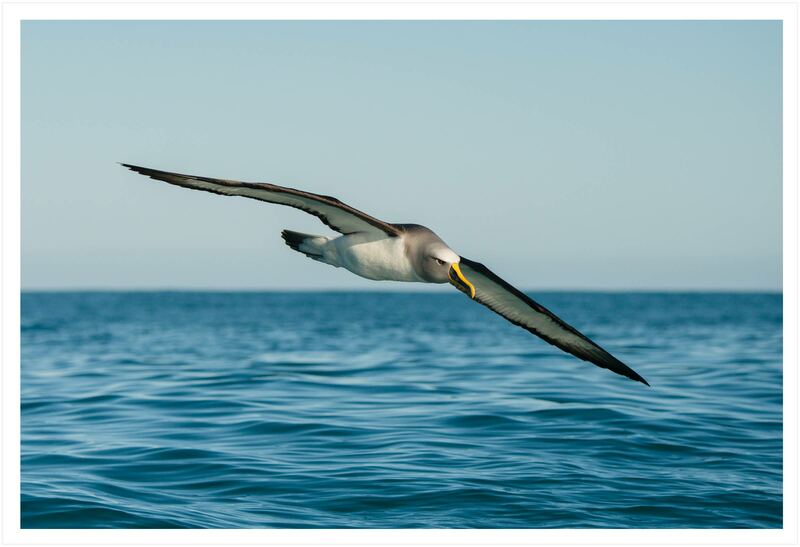 The school went down and a big shearwater (BS) turned his attention to a smaller shearwater (SS) chasing it mercilessly, inches from its tail. It was like a WWI dogfight. At the top of a steep upward climb, the SS ejected a surprisingly big fish, the BS snaffled it in mid air and resumed the chase. The SS coughed up another two fish and both times the same result, BS caught them expertly before they hit the water. After the third fish both birds landed, the SS no doubt exhausted and wondering what a bird had to do to get an honest feed. The action stopped so abuptly afterthe third fish I was left wondering did the BS know how many fish the SS had caught? 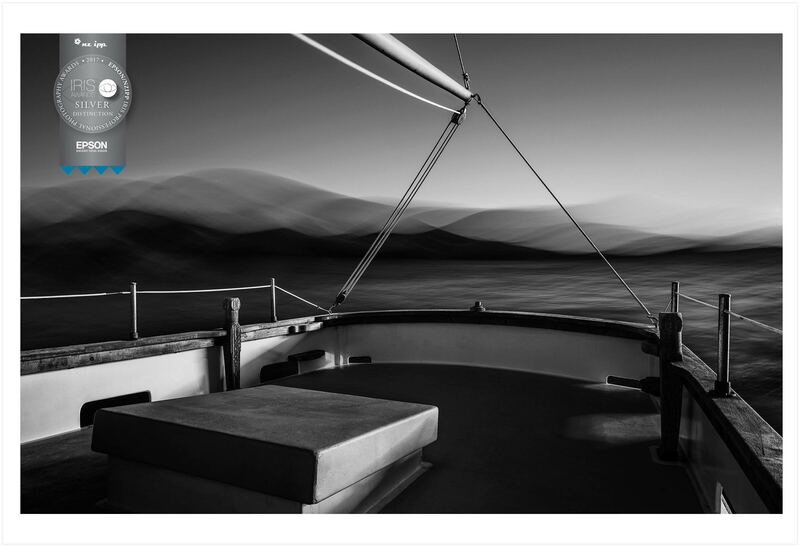 This is a 30 second exposure on a sturdy tripod onboard Arethusa while anchored in Opunga Cove. The view is west across to the Russell Penisular. 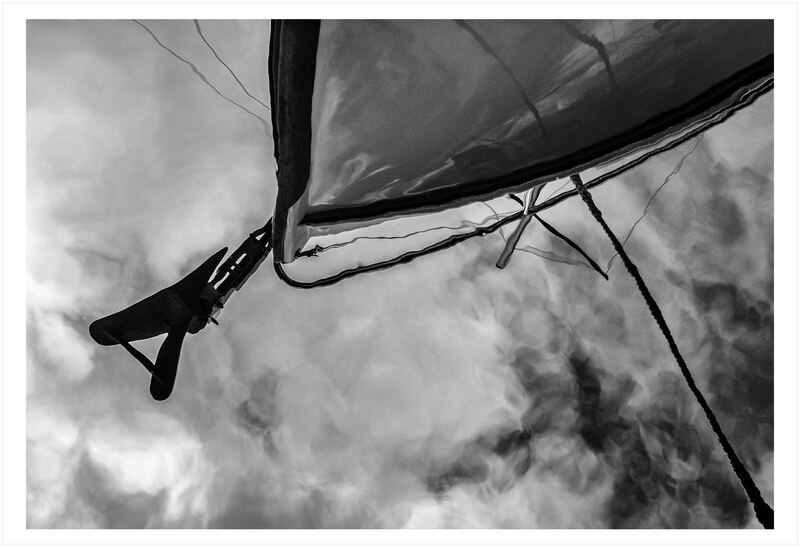 The movement in the photo comes from the boat swinging around 45 degrees while the shutter was open. 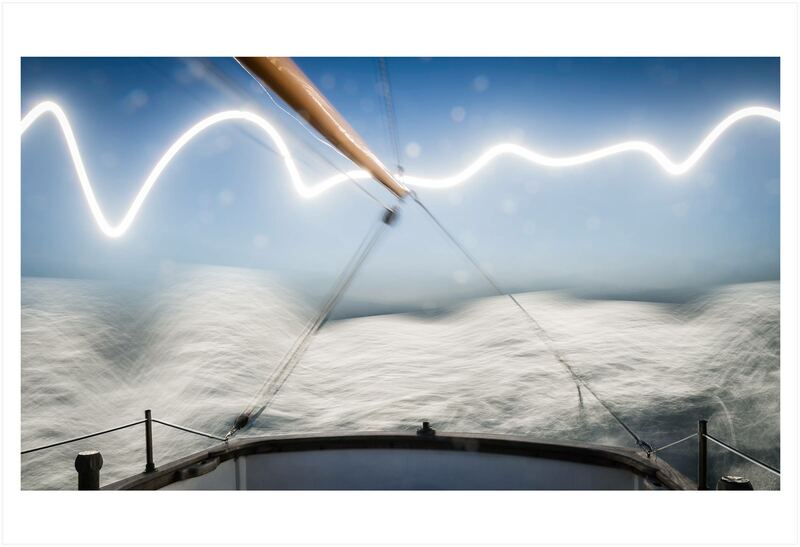 The lightwave is a combination of a long zoom lens, wind chop providing the boat’s rise and fall and a house-light somewhere on the Penisular. The passage between Waewaeorea and Urupukapuka, Bay of Islands. 10 stop filter to turn the water to glass. Late afternoon light. This is a stutter pan looking out from Tereha Point at the eastern tip of Akeake Reserve, Bay of Islands. The view is out over the Te Puna onlet towards Porarenui Point and Black Rocks. 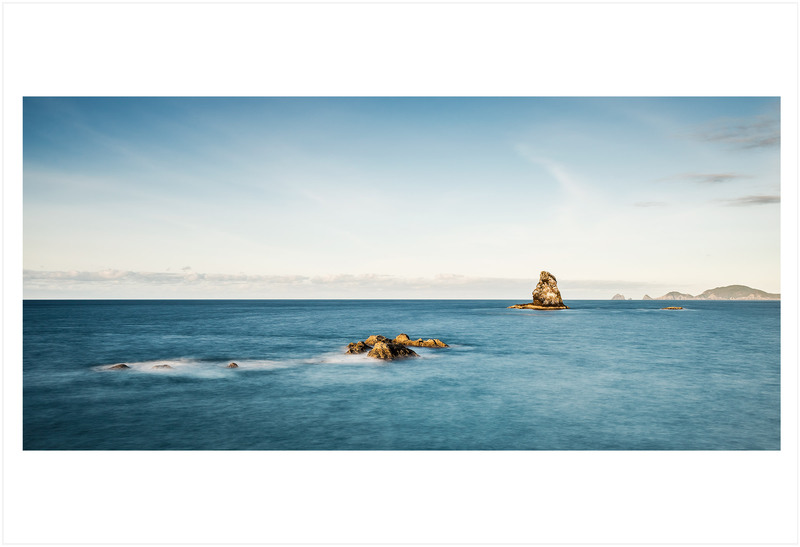 Late afternoon, taken from a rock nearby Tikitiki (Ninepin) using a 10 stop filter. The 10 stop turns a 1/60th exposure of a second into 15 seconds, flattening the sea. If you look closelyyou'll see a patch of baitfish boiling on the surface near Tikitiki. The reflection of a Logan 33 replica, waiting patiently for another outing in Doves Bay Marina. 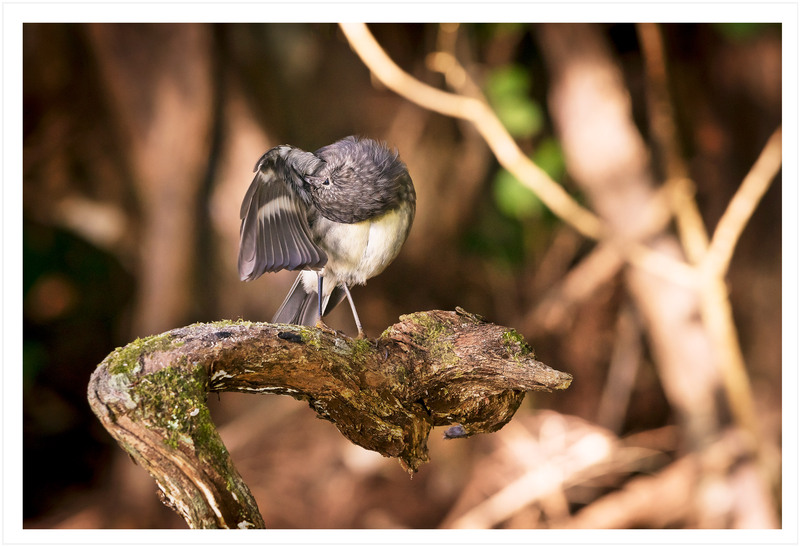 In June 2014, Project Island Song released 43 Toutouwai (North Island Robin) onto pest free Moturua Island in the Bay of Islands. Seven months later, the first unbanded offspring were discovered. “Sam” was one of these, setting up camp in Otupoho Bay (Homestead Bay). Since the Toutouwai, 80 Tieke (North Island Saddleback) have been released on Urupukapuka and Moturua Islands and 40 Pōpokotea (Whitehead) on Motuarohia. 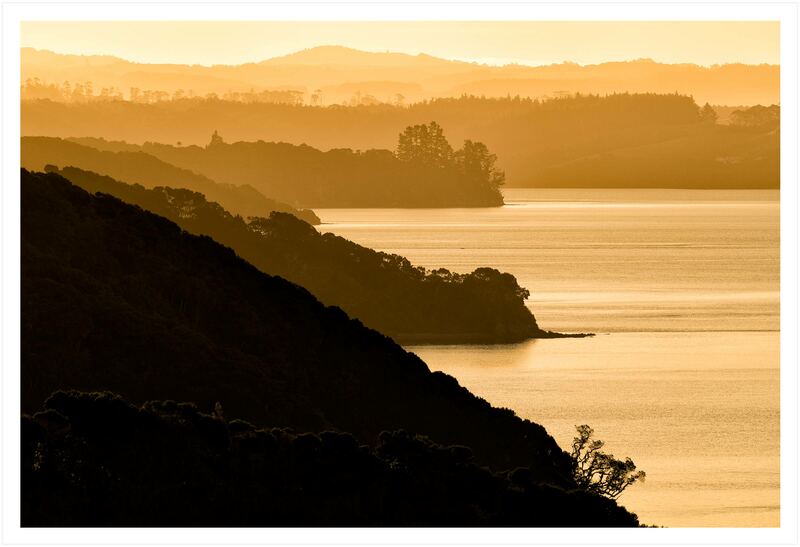 This is such a wonderful project; the Guardians of the Bay of Islands, Ngati Kuta and Patukeha and DoC all working together for the environment, and what a difference they’re making. So many local people are involved with pest control, weeding, propagating, planting, bird relocations. 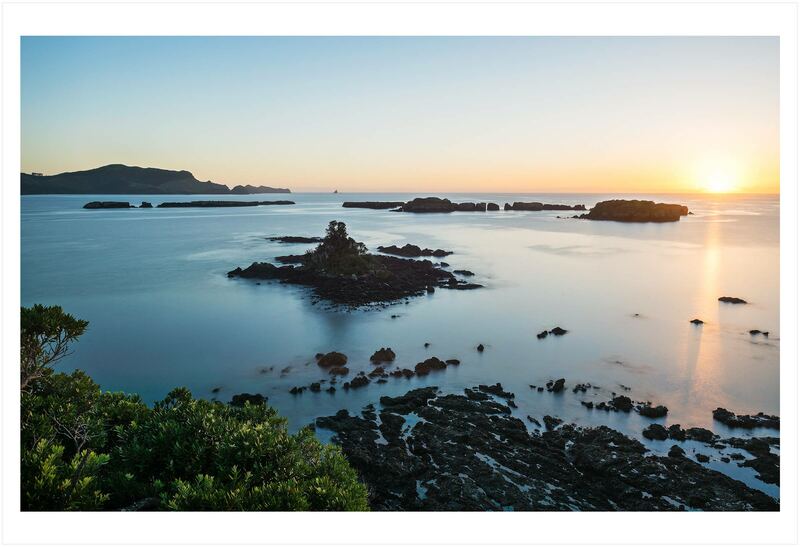 Imagine what our stunning Islands of Ipiriri will be like when these guys have completed their 20-year plan; our very own Tiritiri Matangi right here in the Bay, what a taonga. A percentage of proceeds from the sale of this image donated to www.projectislandsong.co.nz. 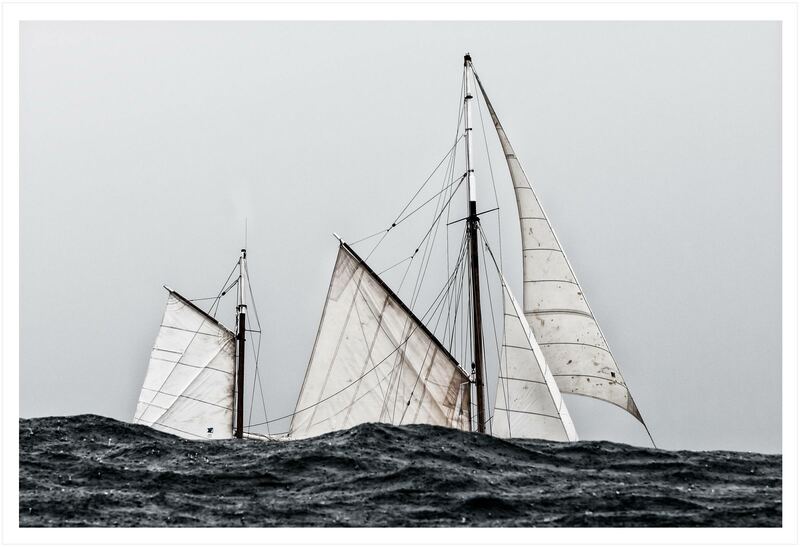 Superyacht Bliss heading downwind toward Black Rocks during the Millenium Cup.